Played in the Vienna Stadtliga in the early 20th century under manager Otto Wagner. Broken up post-WWI, though fans did eventually resurrect elements of the club in later teams, notably Schalke S45, Fortuna U4, and Stadtbahn U6. 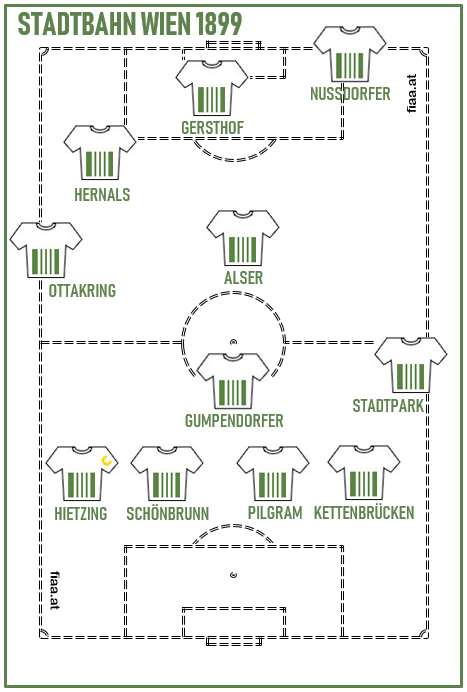 Still regarded with fondness in Viennese football circles thanks to the iconic apple green and white “barcode” shirt design, reimagined as a protest against the commercialisation of modern football.